A reminder that this giveaway is ending TONIGHT! 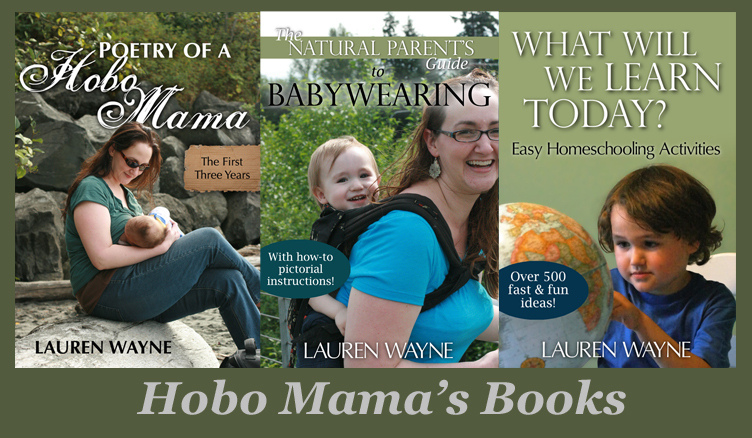 For National Poetry Month, I'm giving away SEVEN copies of my book, Poetry of a Hobo Mama. Enter now on the giveaway post! Giveaway ends April 30 and is open worldwide. This is a group giveaway with Hobo Mama, Living Peacefully With Children, Authentic Parenting, Up, Down & Natural, Code Name: Mama, Positive Parenting Connection, and I Thought I Knew Mama. I'm cross-posting it here on Hobo Mama Reviews as well. Please enter at one site only. Find the section marked "Win it!" for the mandatory entry and optional bonus entries. 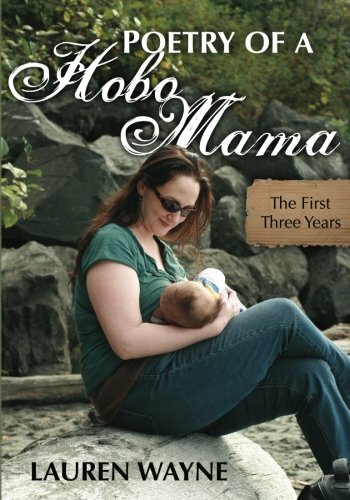 In honor of April's National Poetry Month, I am so pleased to offer a giveaway of SEVEN copies of my poetry book, Poetry of a Hobo Mama: The First Three Years. Each copy retails for $11.99, so the combined value of this giveaway is $72! Poetry of a Hobo Mama is a collection of poems inspired by the initial three years of parenting my firstborn son, Mikko. Poetry of a Hobo Mama contains three years' worth of parenting poetry, written from the time my husband, Sam, and I were preparing for Mikko, through watching him grow to three years old. I've intentionally included poems that speak of our natural parenting journey — breastfeeding, the family bed, elimination communication, and natural birth among them. The book is a combination of free verse and more traditional poetry forms, and the topics and tone run through all the variations I felt when writing them: the grief of miscarriage, the anticipation of trying to conceive, the upheaval of the newborn months, the joy of parenting, and the balance of motherhood with personal passion.